Wine and Pop: Dexter: "A Beautiful Day"
After seven years of letting a serial killer get away with so much, Dexter has entered its eighth and final season. It’s a bittersweet feeling, because the show has had so many great episodes, and has allowed its audience to empathize for Dexter Morgan. Michael C. Hall’s commitment to his role has been a joy to watch in every episode, and has always been the best part of the show. This season is like saying goodbye to friend you’ve grown so close to over the years, it’s hard to let go. Yet, the show has also had its low points (including the dreadful sixth season), and has always sported a supporting cast that have acted as stale comic relief, rather than actually being used to the show’s advantage to support its title character in every scene; many times Dexter has felt like a one-man show. Collectively, the show has been all about building to the downfall of Dexter Morgan, a character with too many flaws to be let off the hook. The eighth season is meant to highlight his end, through death, capture, or both. In A Beautiful Day, the show attempts to tackle this issue, but doesn’t seem to want to let Dexter go so easily. What works well with this first episode is the way it tackles the relationship between Deb and Dexter. Starting six months after the shocking seventh season finale, Deb is shook up and completely off the walls. And she should be; she killed LaGuerta instead of Dexter. Now she doubts herself, choosing freelance detective work over returning to her old Miami Metro job, and she’s cut off contact with everyone in her life, including Dexter. She’s even started seeing a convict who she’s supposed to be turning in. Meanwhile, Dexter seems fine on the surface, and is trying his best to be a family man for his son, and to finally fit in with society. But he’s not fine on the inside, and still finds himself worried about his relationship with Deb, now that she most likely hates his guts. More importantly, Dexter finds himself doubting that he really does fit in with society, that as a serial killer he cannot be normal, no matter how hard he tries. This has been the core of Dexter from the start; can Dexter be a serial killer and a fitting member of society? When he married Rita, it seemed that Dexter was going to be able to balance both sides, but after her abrupt death his serial killer instincts have often gotten the better of him. This subject is tackled really well in tonight’s episode, even if it was in a simple phrase. Dexter insists that Deb is lost, that she’s lost her grip ever since she killed LaGuerta, but it’s Deb who tells Dexter “You are lost.” It’s three simple, but strong words, because essentially Dexter is lost. He’s beginning to lose control, and everything that matters to him, including his sister, the one person who supported him, even when she knew he was a serial killer. The acting between Hall and Jennifer Carpenter in their scenes together is stellar. The awkward tension hovers above them with each sentence they speak, and Hall’s reaction to Carpenter pointing out how much Dexter has ruined Deb’s life are at times heart breaking. Carpenter has had so much time to shine in the past season, and it looks like this season she’ll continue. She’s gotten so much time to explore who Deb is emotionally, and develop her into an emotionally damaged character, since she had little time to do so in past seasons. It’s remarkable character work, and Carpenter really emphasizes Deb’s emotional turmoil with ever curse-filled sentence she speaks. Tonight’s episode also effectively showcased the development of Dexter as character. Last season dealt with Dexter as a serial killer with little moral boundaries, meaning he kills to feel good, not because he’s bound by a code. This episode shows just how dangerous Dexter can become, as he finds himself heading further down the road of being a dangerous psychopath. Or maybe he’s been a psychopath all along. His lashing out on an innocent bystander and his own son in tonight’s episode prove that Dexter has a much more chaotic personality that can send him out of control. As he begins to act like this, the loveable serial killer from the start of this series is becoming a serial killer of despicable actions, and one that viewers might want to get caught instead of get away as he has in previous seasons. This is dangerous territory for the writers to be heading towards, but it could also lead to a much more emotionally resonant finale. 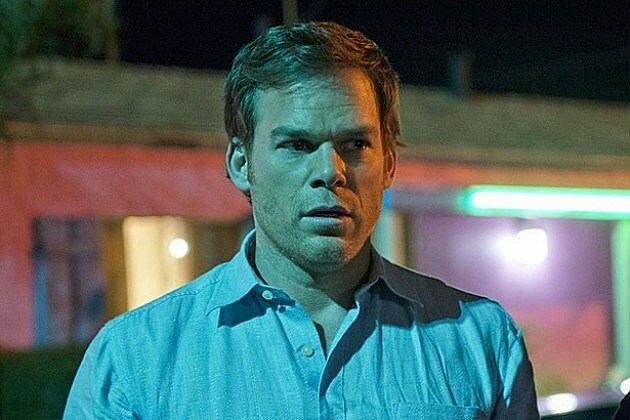 Exposing Dexter for what he really is adds much needed character to a show constantly lacking it, and would complete Dexter’s transformation, appropriate with the situations he’s been through. However, this episode still has its problems, mainly dealing with how this season will play out, as well as the introduction of a new character. As a season opener, there isn’t much at stake, nor is there much suspense. The show runners have allowed Dexter to get away with so much, that his inevitable capture just seems forced, and not at all carrying the emotional buildup it should have. Had he been in danger after last season’s finale, there would be some stakes for Dexter’s future. But with his primary source of danger conveniently tossed away, Dexter doesn’t have much to worry about as far as being caught. The only threat to him seems to be Dr. Evelyn Vogel (played brilliantly by Charlotte Rampling), yet she seems more of an adversary than a threat. The reveal of her true intentions towards the end of the episode come across as too convenient, and more of a forced set up for Dexter to kill more people. Here, the show appears to be continuing instead of ending, giving Dexter more things to do and less to be worried about. The series says this is the final season, but I can’t see that happening at this point. There’s not enough at stake for the finale to be good. But this season could surprise me, and this episode had plenty to keep me invested. Here’s hoping for a brilliant final season.